ARCex is run by Lawrence Johnston and Neil Mathews. Lawrence is a former Head of School at Queens University and his expertise in teaching Professional Practice in Architecture for 25 years has placed ARCex at the fore front of the discipline. 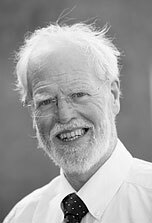 Among Lawrence’s many achievements in the profession, he co-wrote ‘The Architect in Practice’ with David Chappell and he co-wrote the ARB Criteria for Part 3, the framework by which competency to practice is assessed at Part 3 level. 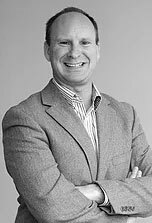 Neil is a director in his own practice, and has taught at all levels, 1, 2 and 3 in several universities in UK and Ireland. Neil is a Professional Examiner at both the Architectural Association and Westminster School of Architecture. He has run the Professional Practice course across all years from 1-7 at Queens University and he brings to the programme twenty years of private practice and academic experience. The team of specialist lecturers includes presentations on Contract Administration, Practice Management, Planning legislation, Building Control and all of the content required to meet the ARB Criteria. As ARCex is delivered in two regions and the course content varies minimally to account for regional variations.